Mark Villareal Appears on the Viki Winterton Show! Viki Winterton is Host, Expert Interviewer, Publisher, Best Selling Author, PR, and Business Success & Advertising Veteran. 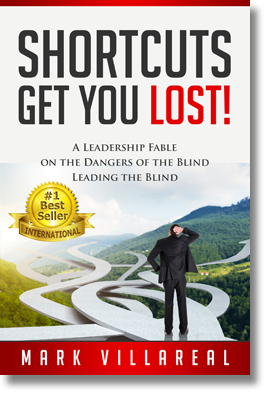 She is the creator of Experts Insights Radio Mark Villareal is a published author, speaker and coach with his recent release of “Shortcuts Get You Lost!”. Announcer : Welcome to Experts Insights weekly radio show hosted by Viki Winterton, founder of Experts Insight family of opportunity. Home of bestselling books, award-winning magazines, global broadcast and communities. Expert Insights is a highly educational, inspiring and empowering show focused on your professional and personal success. Featuring outstanding guests from across the globe, including best-selling authors, top coaches, world stage speakers, thought leaders thriving, entrepreneurs and visionaries. 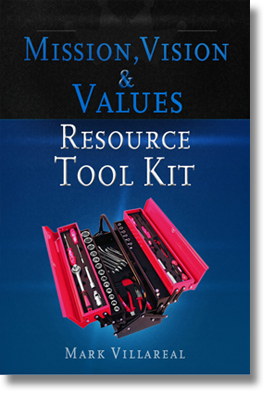 With proven strategies, secret formulas, and treasured resources to help you succeed and make an impact. Welcome, sit back and enjoy the show. And now your host, Viki Winterton. Viki : Hi, this is Viki Winteron and I am thrilled today because with us we have Mark Villareal. Mark has a passion for developing individuals in a manner that helps them achieve their goals. He has been helping business leaders succeed for over 35-years. He is a published author, speaker, and has been a guest on Talent Talk Radio. He continues to thirst for learning opportunities and strives to demonstrate his humility and Christian faiththrough all that he does. Mark, it is a pleasure to have you. Thank you so much for joining us. Mark : Well, thank you for having me Viki. I am excited and I am very honored. Viki : Fabulous, so let’s start for those who have not had the pleasure of getting to know you yet.Tell us a little bit about how you came to this fabulous passion and purpose in life? Mark : Well, Viki, I will explain it like this. First, it was how I was raised. So I think our parents have a big impact on us, as both my parents did. My mother, as I am the youngest in the family of seven kids, and I had a special relationship. I say that she was the best leadership coach who chose to be a housewife. So a lot of what I teach, and what I’ve learned is from the values and principles that she taught me growing up that relate to everything about business today. Viki : Oh that’s amazing. So tell us a little bit about how you’re contributing in your business today? Mark : I will say this, you mentioned that for 35-years I’ve been in business, and this current business that I am in for twenty years. But through that I have had that passion for leadership. So in developing future leaders, current leaders and maintaining leaders that need to keep learning, developing and growing leaders underneath them. That’s the passion that I have, and what I do will impact within our organization. I have been with the organization on our corporation’s side, which is a franchise organization, so I have been on our franchisee side as well.Currently, I am with the largest franchise ownershipgroup of the company, so we have a lot of leaders to develop. Especially when you build succession plans. So that is the passion that you talk about. How you build roadmaps to success.How you access the next leaders and develop them, and then how you teach them to build roadmaps to success underneath their people as well. Viki : So tell us a little bit about what you think are some of the most important components to leadership and then we will get into your book because it’s so powerful. Mark : I believe the first component is who you are as a person.So it starts at the top on leadership, and it starts with the very foundations of what values and principles that you set. How genuine you are. So when I talk about values and principles I talk about mine, personally. The first one is humility. I believe the best leaders believe that humility is a strength and not a weakness. So therefore they build upon that. Then they have respect, integrity, initiative, and accountability. Andwith each one they need every decision that they build from there for their business, their organization, and for their people to point back to those. Someone that has humility first will hire people smarter than they are, so they can continue to learn from them as well. But also they will admit their mistakes and be seen as genuine by their people. When you have that foundation, everything else built on top of that is on solid ground. Viki : Now you know humility is an interesting word. I heard someone compared it to playing piano and they said humility is where you deny your talents.Like if someone said,“Please, oh please play the piano.” You say, “Oh, I am in a group of people, I am so humble I am not going to show off.” That’s not the kind of humility that you are talking about. The kind of humility is that you do take your God-given talents and you do utilize them. Describe humility a little bit further from that perspective because some people have a misconception about humility. Mark : Well, I think the example that you gave is a very good example. Because the reason I wrote my book is from humility that I have something to share, and I believe, and I have demonstrated that I have a gift to build leaders. To identify future leaders, and to identify what steps it takes to build them to success. So, by understanding like the piano example that you gave, certainly they want to play and to share it. But humility is that hunger that you want others to learn and you want others to succeed. And the difference is with humility, you realize that when you focus on others success, that yours will come naturally. So it’s not about me, in that extent, it’s about you. Let me focus on your goals and I become successful because you succeeded. Viki : Wow, thank goodness that your definition of humility included you writing this wonderful book. So start with the title of your book and tell us a little bit about why you wrote the book. Mark : Well, as mentioned, I’ve been in leadership and developing leaders, and coaching. I have worked on manuals for our corporation and different aspects on what it takes to train people. So it’s always that you have something to share and a passion. This is something that I wrote, Shortcuts Get You Lost is a story of teaching people.First of all, that if you take a shortcut and you get lost, you have to go back and start to where you started that shortcut. Therefore it takes you longer than what it would have had you not taken the shortcut. So that is a lesson I learned from my mother when I got lost going home from school and tried to take a shortcut, and she also taught me that had I had success I might have created bad habits to take more shortcuts in the future. That’s the danger of a shortcut. So with my book I had something to share with Shortcuts Get You Lost, that really I made each chapter so that it builds on the next chapter. That it starts with the foundation of who the leader is and why that is an important role, and the responsibility of that leader and the things that they have to think through. They have to access, and make sure that they map out for their people for success to be built on top of that. Viki : Mmmm, gosh that is really powerful. Really powerful, and I know that in chapter two you kind of get to the heart of the problem, which I’d like for you to tell us a little bit more about that concept. Mark : Yes, well the heart of the problem is actually the title of chapter two, so thank you very much. Sometimes we as leaders want to hire people that come with all their gifts, as naturally we want people with talents. But I think the heart of the problem sometimes is the self-managed person does not exist. Now there are people that will succeed that are unmanaged. But the highly talented people still need us to remove roadblocks, and strategize with them. It’s at a different level. So when I talk about the heart of the problem I talk about foundational, what do you do when you first look for people? How do you create an environment when you are managing them? So there is an aspect in there that talks about how everyone is a ten. Once again a lesson from my mother, that everyone is treated with respect, whether they are successful with us or not. And that is an important key. Because there are certain things in my life that I could not go out there and do. But it doesn’t change who I am. So first the culture is, everyone is a ten. Treat them with respect. If they’re not successful with us it’s okay. And in our business today, I will tell you that some of our best customers are former employees who weren’t successful with us. But they respected us on how we treated them and they are good customers of ours today. I also talk about how we correspond and interact. I believe that we owe it to our employees to be factual, not negative. But to create that environment where I coach them and that it is really about accountability to lay the groundwork.Â To be honest with them, to be open, and for them to see you as genuine. So that’s really the core of chapter two. Viki : Mmmm, fabulous and you know I like to keep things really simple so I know in chapter three you approach the myth of complexity. Tell us a little bit about that. Mark : Well, here’s what I think that’s important. I always talk about how we owe it to our people to build them a roadmap to success. It’s funny, it’s kind of like a GPS. When you have to roadmap, and if you’re traveling where you are going to and it’s not uncommon that you have to take a detour, or there is an accident, and so you stray off that roadmap and it’s important that you find your way back to that roadmap for your highest level of success. When we build our roadmap to success, sometimes I think the myth of complexity, as I call it in the book, is that we think it is complex to do that, and so therefore we don’t. And it is important to me to help people identify what are the behaviors that drive the results. So it’s really foundational, what are the behaviors, and I call it cause and effect. What are the causes that get the results that you desire? Therefore when you break that down, and you teach and you manage to the behaviors, you will see your results start coming naturally and consistently and that’s where that’s important. So we talk about also, within the culture, when we’re working with people, and let’s say they’re struggling. Before we think about, are they not going to work for us? Should we let them go? I ask the question, did I give them the benefit of my time. I ask my managers, did you give them the benefit of your time? Then we structure what that means. We make sure we give them the benefit of our time, and then from there we can make better decisions onwhat they need to do to help drive their success better, or sometimes it is a difficult decision that they may not work out with us. But at least we give them that benefit. We talk about confrontation is a benefit. Which means when issues come up we confront them. It doesn’t mean to be confrontational. But what it exactly means is we confront them when they arise, and then we get to the other side of them. The final thing we speak about is to share yourself with your employees. I believe in some businesses, they think it is taboo on being personable. I like to know my employees not only in professional goals,but their personal goals, and I think they tie together. I encourage them even, that if you want to have a trip to Hawaii, I want to see a picture of Hawaii at your desk. I want to know that, when we are talking about your professional goals that they tie into your personal goals. If I can help you achieve that objective, you actually appreciate your job and environment, and your employer much better. Viki : Yeah, and I think that is so true to know people on different levels, and I think it’s especially true now with so much technology. You know there seems to be a lot of superficial information that rolls around everywhere including social media and so forth. I think that the idea of getting down to that really authentic self is really important to know different dimensions of the people that you are working with. I am hoping that it’s not a lost art because I love doing business that way and I think it’s just so important in building relationships. Mark : I believe that one hundred percent. I believe the more genuine you come across to your people, they respect your decisions even when they may disagree or they have a different opinion. They appreciate that you took their feedback and their opinion. But when they see you as genuine, then they realize sometimes that when the hard decisions come. But you’ll see people, who, as I call it that they will “take a bullet for you.” Because when they see you as genuine they see you making the hard decisions. But the right decisions, and what’s in the best interest of the organization, and everybody as a whole. Viki : That’s beautiful, really beautifully put. So, we all look at knowledge in being important and continuing to gain knowledge. But, talk a little bit about knowledge being a vehicle for change. Mark : Well, Viki, let me explain it like this. I think sometimes that we get so busy in life, and especially at work and our work environment, that we make quick decisions. We make spontaneous decisions and a lot of them work out and they do well. But I teach in, “Knowledge is the Vehicle for Change”, which is a chapter of my book, that good decisions and bad decisions take an equal amount of time. So why don’t we have a process that can be automatic. That helps us make those good decisions. But the first factor is, whoever is making that decision, to realize somethings about themselves. The second factor on making that decision, is to always point things back to the values and the principles of what the organization is built upon. In the chapter I actually take people around a baseball field, because values and principles start at the home plate. But then I teach them what first base is. What’s second base? What’s third base? But in baseball, the goal is to make it back to home plate. That’s important because values and principles at home plate is where you start, and its where you want to finish as well. So, that’s the first part. So when I am talking about who you are as a person, you have to really look at yourself.Have agood reflection of who you are, who you want to be, and that’s actually a daily task. Do you do that each day? Do you look at yourself, and at the end of the day and are you satisfied at who you were from that day. I talk about how there are two views of success. You have heard me speak of this before. But if you look at winning teams, and there are great winning teams in sports out there, the best coaches view of success is not their own. It’s focused on their teams’ success. And that is why they not only had quick success, but long term success. From there we then build a philosophy on, how do you teach your people accountability. However, I am a firm believer that when you can raise expectations of your people, thatthey will rise to the challenge. With that being said, sometimes we have to challenge ourselves on what our goals and objectives are. But we want our people to own them and we want them to be the ones that are really choosing that. But we work through that process. But there is a saying that my mom used to teach me, and she used to challenge me on my decisions, that if your climb was easy, perhaps you chose a hill instead of a mountain. So she was really trying to teach me that it’s okay if you chose a hill and you had success, celebrate it. But son, I want you to choose mountains because they are out there, and I believe that you can accomplish them. We teach that to our people. What wraps up the chapter is how to keep that culture of gratitude and thankfulness, and appreciation. It works in a circle that it just generates more. You tell your people you’re thankful and you show it, and they see it and they believe thatits part of life. It just creates a great environment. Viki : Yeah, and I think you know when looking at those opportunities to reach for more. Be grateful with what you got and so forth. But to reach for more. If you can, view that as a challenge or as an opportunity, and sometimes that opportunity just presents itself. It’s so exciting when it does and how you accept that, it really does depend, as you suggested here, on your mindset and where you’re at. Mark : Well, it’s very important that sometimes they say, what is worse than a goal that is set too high? It’s a balancing act, that if you set a goal too high and they don’t achieve it they feel defeated. But what’s worse is setting a goal too low and then achieving it. So it’s that balancing act and that’s why it’s a two way forum. Too many times in businesses individual goals are set by management and they should be set by the people with management participation teaching them, and yes, challenging them. But at the end of the day do you take ownership in your goal, and in your objective. And now from there we can work backwards and build that roadmap to your success. Viki : I love that concept. That’s really fabulous. Really fabulous, and I know that you believe that leaders are really coaches looking for opportunities to coach. Tell us about a little bit about that. Mark : Well, Viki, I was asked before on what the difference is between a manager and a leader, and I believe that leaders are coaches. Managers may sometimes be autocratic, and say “do as I say, not as I do,” type philosophy. A coach is looking for opportunities to coach. And in the book I utilize a poem that I wrote many years ago when I attended a football game, and it was about what I witnessed that the coach was doing. When the players came out, and they fumbled the ball, he encouraged his player, and said, “Get ready to have the ball again.” When they weren’t playing right, he called timeout and reorganized the team. When a player wasn’t following his blocks correctly, running the football, he stopped them and coached them so it was continuous. Too many times in business we wait for the results to coach and manage. To where the best philosophy is that you coach during the game, during practice, and you coach to the very end.Even in the example that I give on that poem, I talk about where the team was losing, but yet they were playing hard and it’s because of how that coach coached them. Because he knew that, “I want you to still play hard because I’m preparing you for the next game. And I’m preparing you for who you are, and who you are is going to drive your success with us, or on your next role that you may go to, and I am there to help you with that.” I believe the best coaches not only coach, but they look for opportunities to coach, and every time they do, their team grows. Viki : Mmmm, I love that. I really love that and it’s a new perception really in management style and it’s so lovely. Because of the way it recognizes contribution and provides encouragement as opposed to just being more of a dictator in the way that management works. So I’m so in appreciation of everything that you put in your book and these wonderful, wonderful approaches to developing people. I was wondering, that when you were going through writing the book, did you run into any personal challenges yourself in doing that? Mark : You will hear writers talk about writers block and I think that happens to all. I encourage writers to have different methods that helps them through writers block. So I am a man of faith, so I pray quite a bit and I believe in that faith. But I also then will come up with, “okay I have writers block,” let me write some questions down that I can ask other people on their thoughts. With that, and then meditating as well, you’ll be surprised on where the next things come from that help you, “Okay I see where that matches.” And I see that I can input that here and that adds on to this portion very well. So I would say, define two or three methods. Not just one. And allow that then to guide you, and then seek answers from others. You will be surprised how others are there to give feedback, and how many people out there are willing to help you. I always say that a true leader pays it forward. So I talk about myself as I have a hunger to continue to learn. Bur I want to pay it forward and pass it on as well. There are so many people out there that will do the same. Viki : Yeah, oh and that is such a wonderful point. I love the point to where the fact that you suggest leaving some space when you get blocked. Whether it be in meditation, or whatever practice you use in order to leave a little space for creativity to enter in. I often share that I used to, when I was younger, push harder when I would come to a block with what I was doing. That was a sign of pushing harder, working more, and you know it worked eventually. But it was painful, and if I had learned to leave a little more space for the creativity to just enter and flow much earlier on, it would have been a much more pleasurable experience. Viki : Oh fabulous. Yeah such wise advice. What a wise mother you had. 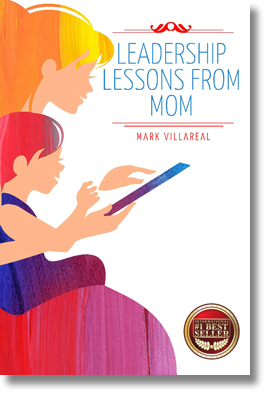 Viki : So tell me, what do you hope readers will take away from your book, Mark? Mark : I hope it encourages readers to realize that they can make a difference. Each day it’s like, can you make a difference with one person? We have a millennial workforce group coming in, and I have found that they really have a hunger to want to be led, and people look for leadership. They look for those leaders to follow. Whether they know it or not. But you see it when they find those leaders, they will follow. They want to learn. They have a hunger. And the millennial group right now has a passion that they come unafraid and they have a courage that I haven’t seen before. So that’s what excites me and I really just like to see other people want to get involved, and hopefully the book helps them to see from a perspective, and it’s written in a fable form that they see that, “This is something that I can apply. And this is something that would work in my business.” Because it not only works in business, it works in life as well. Viki : Fabulous. Mark, if we were to look beyond just the readership, if you were to look at the work you are doing in general around leadership, and how that might impact the world, along with your book of coursealmost like if it were a legacy, what would that look like for you? Mark : I think, hopefully, and how it would impact the world is we build one leader at a time. So, if we can build better leaders that lead with humility. Take the right decision making processes. It starts one person at a time. If we can build that, each of us makes better decisions. Each of us treating people with respect. I think we’d have better conversations. I think we’d have a better world, and I think we’d have better results. Whether it’s an industry. Whether it’s in helping out there in the world socially. I just think that, when people see it from that perspective, they really can see that everything they do, can make a difference. Viki : Ooh, I love that, so beautiful. What a beautiful way to close our time together. Mark, tell me again, the name of the book, and tell everyone where they can find it. And then also, if you have a website where they can connect with you, that would be wonderful. Mark : Yes, the name of the book is Shortcuts Get You Lost. You can find it on Amazon.com, and you can find it also on Barnes & Noble.com, on iTunes, and on Kobo.com. So it is out there on several websites. I have a website that is titled www.mistevonline.com. Mister is spelled out, m-i-s-t-e-r-v-online.com. You can see where I have blogs there, more information on my book, and you can also find me on LinkedIn, and on Facebook as well. Viki : Wonderful, Mark, thank you so much for joining us and for sharing this wonderful approach to leadership and I am especially appreciative of the work that you are doing with our future leaders. Thank you so very much for being here. Mark : Thank you for having me, Viki. Viki : And for those of you that would like to learn more about Expert Insights Publishing, our best-selling books, our award winning magazines, our global broadcast communities, you can find us at getei.com. That’s g-e-t-e-i.com, and everyone have a wonderful week.